As the local Signwriter and Pictorial artist, I get to work on some nice local historical pieces. I finished one recently that the Knights would be proud of. It was the swing sign belonging to the Shaven Crown Hotel in the village of Shipton-Under-Wychwood. It hangs from a Gallow frame outside the Hotel (top right of picture). 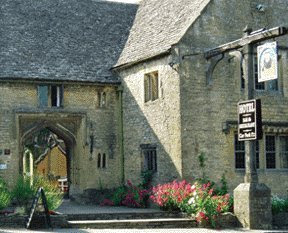 The hotel was founded in the 14th century by the monks of Bruern Abbey to house pilgrims and as a hospice for the poor and needy. Following the dissolution of the monasteries in the 16 th century the Crown seized the hotel and Queen Elizabeth I later used it as a royal hunting lodge. 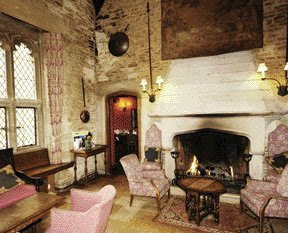 Subsequently it was given to the village on condition that it became an inn with the proceeds being used to help the poor. Early in the 20 th century the inn passed into private ownership and was named the Shaven Crown in homage to its founders. 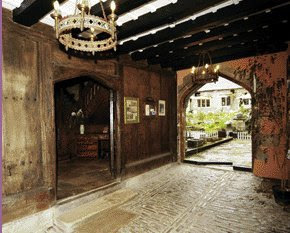 Through the centuries it has maintained its charm, and many original features remain, including the 14 th century gateway and the double-braced roof structure of the Great Hall. 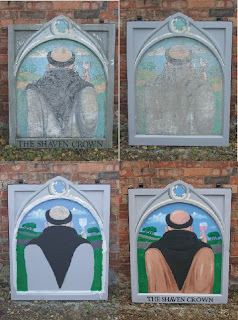 The sign itself, which portrays a Monk with a "Shaven Crown", had originally been painted just after WW2 , and had naturally fallen into disrepair in the last 60 years. I was called into restore it to its former glory. 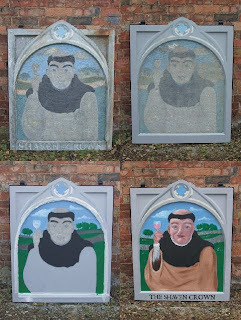 I photographed the various stages; starting with top left , how it looked when it came to ground, then after clean up, and secureing of the wood surface, then with the first coat of paints, then the finished article. The real amusing thing about this sign is that the front of it has the Monk in front view and on the other side it was from behind him. Note: behind the Monk are featured the local drystone walls, (walls built of local limestone without cement to corral the sheep, the main industry of the Cotswolds a Cot being the beds of the sheep and a wold being a hillside ) that are a big feature of the Cotswold district of England to the west of Oxford. Anyway, it gave me a huge amount of pleasure and of course at the end, like the Monk I got to raise a glass in the ancient bar, after I had put it back up into place. Now we are all "officially jealous"!